Just like an athlete uses a coach to improve their performance, so too can a manager engage a coach to improve their effectiveness and efficiency as a manager by changing their behaviours. How can a coach improve behaviour? What can you expect in a coaching program? Every organisation and coach offers a slightly different way of coaching and it’s important you find the right coach to fit you and your needs. Many organisations use profiling and assessment tools to identify your particular approach to work and relationships, your preferred learning styles and your key capabilities and interests. These tools are designed to help you take a step back and understand why you do the things that you do and how these might differ from other people. For some people this increased self-awareness is all they need to start making change in their behaviours. When working with a coach, you should have some clear objectives to work towards. Sometimes you will already know what these are and at other times you will need to work with the coach to assess your current situation and uncover what objectives you would like to achieve. It is very important that you and your coach agree on the objectives so that your time with the coach can be focused on your needs. Remember your objectives may change as time goes on and this is ok, you just need to reset them with your coach to make sure you’re both on the same page. 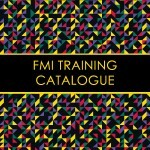 At FMI we use a personalised approach to coaching to suit your specific needs. We get to know the individual, their goals and aspirations and work with them to develop a tailored strategic plan to develop their capabilities and achieve their targets. If you would like to know more about FMI’s coaching services please contact us, we will be happy to help.